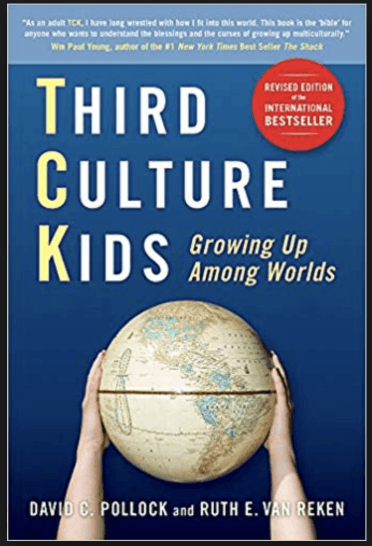 Third Culture Kids are kids that have grown up in a country or countries that aren’t the home country of either of their parents. I have grown up a third culture kid and am interested in exploring other kids in similar situations to me and understanding their perspectives towards this and how this might be different and might contrast my own opinion towards the topic. After doing this I will try and understand a professional’s viewpoint towards this. This will delve into both my mind and others to find the truth behind both my perspectives and others to help give insight into what it is truly like to be a third culture kid in the globalized society of today. In my documentary I will dive into the lives of Third Culture Kids in New York City (or more) by interviewing kids from all over the world to get a better understanding of how being a third culture kid has affected their identity in the globalized society of today. Through interviews with other kids, I will try to get a better insight into their perspectives and then contrast that with how I feel about the world and being a third culture kid. In addition to getting insights from other kids, I will also try to interview professionals to get an understanding of how they feel about third culture kids. I am interested in how their experiences compare to both my perspectives as well as to the other kids I’ve interviewed. I hope to provide insight into how our views might contrast what they believe and what their reaction is to this. I am also interested in understanding how being in a Global city like New York feels to a third culture kid. This full documentary will be 5 minutes long and I estimate to have 1 minute filled with B roll, and then 3 filled with both my and the other kid’s perspectives and 1 minute of the professional’s opinion. This will be an informal documentary to try and get insight as well as feel a closer connection to each of the individuals in the video. 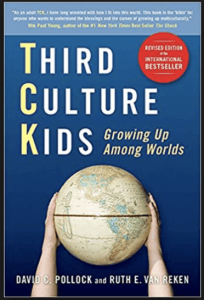 The intended audience can be practically anyone because it will be informative and will give insight to anyone who is curious to learn more about third culture kids nowadays. The event that originally triggered me to look deeper into this is my global life and growing up as a third culture kid moving to China when I was 3 years old. I have had the experience of understanding cultures that aren’t my ow, while at the same time, struggling to connect with other Canadian kids when I go back “Home”. I’d like to film in some of the cultural hubs of the city including Chinatown, Little Italy, Korea Town and possibly in front of the Trump building to find insights into strong minded and passionate individuals to add a extra interest and power to the video. I’m not directly sure who exactly I will interview but I’d like to find some Parson’s students, as well as other kids from a different range of age groups, to see how age might affect opinions. First I will collect b-roll from different cultural locations around New York. Then I will try to Collect interviews and information from all individuals in documentary format and after that, find information from professional opinions and interviews. I will then use information gathered to understand what I have to work with and then start piecing everything together. Then finally, I plan to have a reflection and final comments to understand the overall conclusion of all my findings. The documentary will be 5 minutes long so in this time frame, I have a lot of information to fit into a short amount of time. This means that a lot of the video needs to be short and concise and a lot of the information needs to be able to get straight to the point to allow the audience to understand what I am trying to portray through each of the participants viewpoints on the subject. For each of the interviewees information, I will try and draw out the main point of what their saying to minimize rambling. Because this is quite a personal topic, I am going to focus on the most impactful points each of the individuals mentioned to help me get my point across and allow the audience an unfiltered insight into our lives and to try and leave an impact on the audience. When interviewing the professionals, they will have predetermined opinions on the topic as they have a large personal knowledge on the subject. I will try to get a more deeper insight into what they have to say and try to push them out of their comfort zones to be able to then pick out points that create controversy, as well as points that I don’t agree with. I want to push them to question their identity and I feel that this will be interesting and draw out some interesting responses from them. Similar to the third culture kids from their interviews, I will try to extract the most important points and moments from the interviews with them to use in the final cut of the documentary. In doing this it will help get the message and points I want to get across in the short amount of time that I have in the film. I want the interviews to be informal so that the interviewee feels comfortable talking about more personal information with me and allow them to open up about more personal issues and inner battles they might be feeling about being a third culture kid. I feel like this could add a deeper feeling to the documentary and allow the audience to fully connect with the people in the video and allow a deeper impact to be left on the audience as well. I feel that is important to have an emotional connection with the interviewees to then share this emotion with the audience. Introductions to each of the individuals in the video will be supported by a voice over and b-roll footage of different cultural areas of New York city to reflect how diverse a city we live in, and all that you are able to find here. Having cultural b-roll footage will allow there to be a direct link to the topic and allow for smooth transitions throughout the whole documentary. It will help create a smooth flowing video as well stop awkward gaps and really help provide a good background when talking about individuals or referencing different perspectives. This will also be used in the introduction of the video when introducing the viewer to the topic and what I’ll be exploring in the video. This will establish this style of b-roll within the video that will make the audience familiar with it and allow them to connect with the images throughout the rest of the video. All of these elements will come together to help produce the story of each of these individuals as well as creating the larger story of Third Culture Kids in New York City. This exploration will help give the viewer a deeper insight into what it’s like to be a Third Culture Kid and how the experience of being in New York City is for these Kids. With the insight of the professionals, it will help me draw a final conclusion as well as my own realization of who I am and what has shaped me. At the end of the video I want the audience to come out from it with a changed perspective on what Third Culture Kids deal with on a daily basis and the internal cultural battle that they face. I hope to have the audience also question themselves culturally and gain insight into what their culture is. In society today we are more international than we have been before. Everyone is practically a citizen of the world as transportation and global travel, as well as access to global information becomes more accessible. We are all citizens of the world and are constantly experiencing international culture whether we realize it or not. I hope to also create a video both complex enough to allow the audience to take away insight into our increasing global culture, as well as being simple enough to understand within the limited 5 minutes I have. Using information gathered understand what I have to work with to then start piecing everything together. Reflection and final comments to understand the overall conclusion of all my findings. A website that claims to be the “home” of third culture kids. However they aren’t able to give any insight into what it’s like and is harder for them to relate to the context of the kids in this video. Being able to contrast my own experience with the others that I will interview will allow for a clear contrast in perspectives. Because although I share a similar trait of being a Third Culture Kid I have a very strong opinion and that might put me aside from other kids. I can tend to be quite cynical. A book that could be interesting to read into more, to help give me a better understanding on my own identity and could allow me to help improve more self reflection.